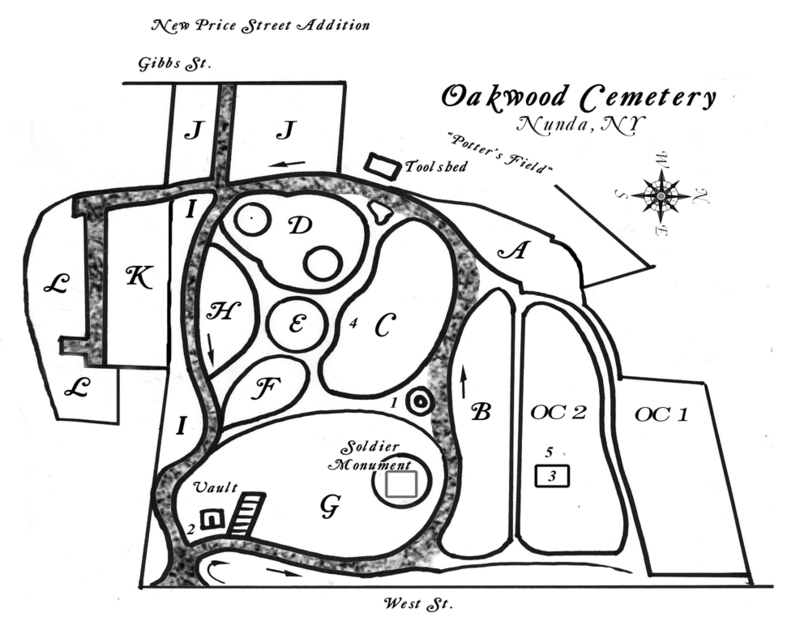 Oakwood Cemetery's main gate is on West Street. 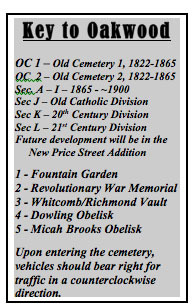 To reach the gates, turn off Route 408 (State Street) west on to Fourth Street. You will see a car wash on the corner. Fourth Street becomes West Street around the sharp bend. 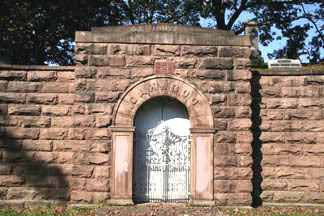 The stone cemetery gate is on the west side of the Street. Please remember that traffic bears to the right when you enter the cemetery. The map was created for the Association by Kevin Raymond, art teacher at Keshequa Central School. The Key to the map is found to the right.